Design Challenge: Create HTML emails for the Rhapsody editorial team. 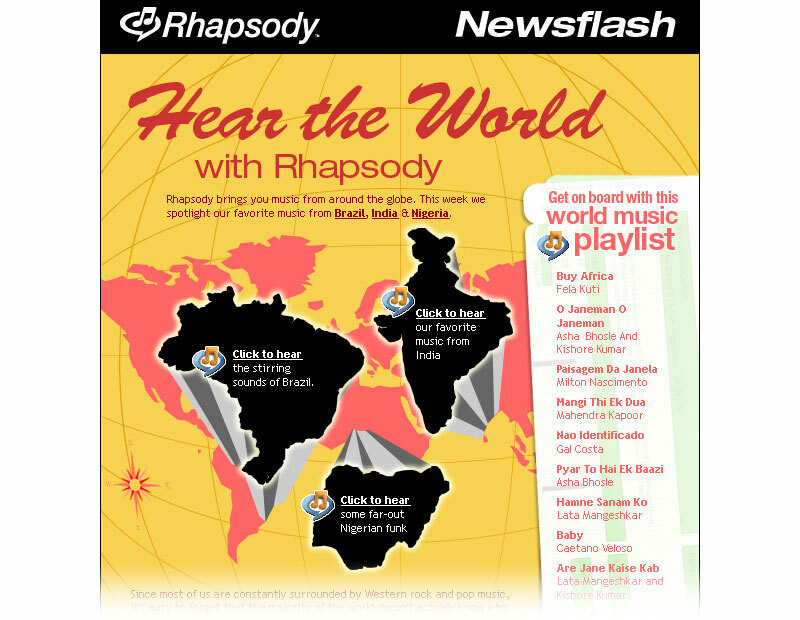 The Rhapsody editorial team picked a genre of music or a special artist to spotlight each month for a subscriber email. The team gave me a lot of creative freedom for the project, which ran for about two years. I designed and coded each of the emails. Here are a few of them. 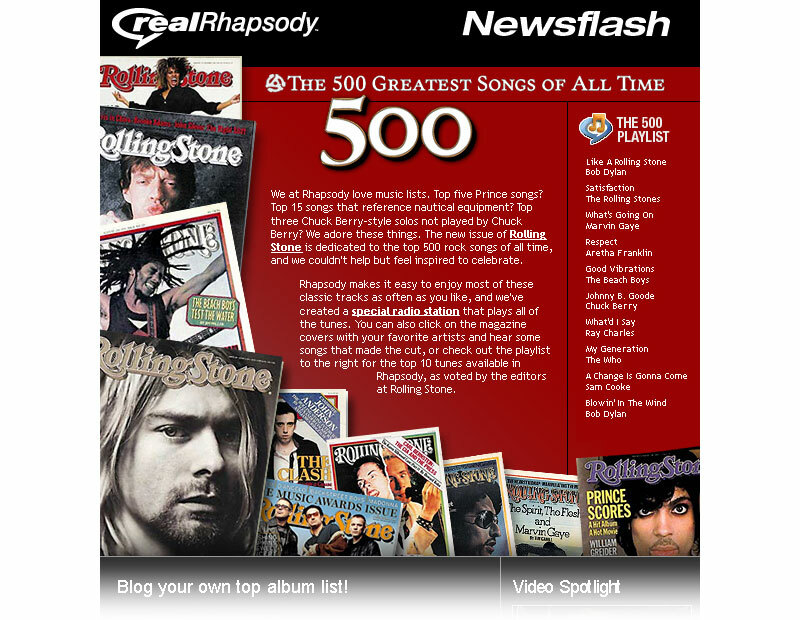 This email introduced subscribers to a special collection of music tied to Rolling Stone's top 500 albums of all time. I used album art as the visual draw. With this email, I created a travel theme and highlighted countries around the world. My favorite part of the design was the vintage travel posters I recreated as a decoration.